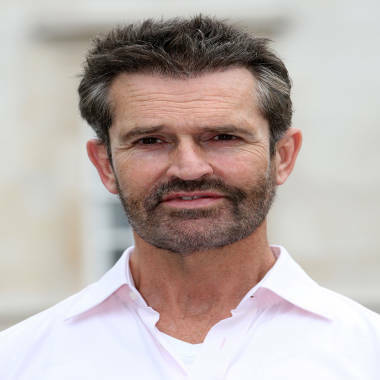 Openly gay actor Rupert Everett is causing a stir after telling the UK's Sunday Times Magazine (via the Telegraph) that he believes that gay men should not be parents. Talking to the publication about his mother meeting his boyfriend, Everett said she "still wishes I had a wife and kids," and "she thinks children need a father and a mother and I agree with her. I can't think of anything worse than being brought up by two gay dads." Everett, 53, made it clear that he was not speaking on behalf of any group of people, gay or otherwise. "I’m not speaking on behalf of the gay community. In fact, I don’t feel like I’m part of any 'community.' The only community I belong to is humanity and we’ve got too many children on the planet, so it’s good not to have more," he said. GLAAD has swiftly responded to Everett's comments; the organization's president Herndon Graddick released the following statement: "Since Everett shared his outdated opinion, gay parents, as well as their friends and families, have voiced overwhelming disappointment. Children aren’t hurt when raised by caring gay parents, but they are when uninformed people in the public eye insult their families." The Family Equality Council also responded, saying, "More than 30 years of scientific research shows overwhelmingly that children raised by parents who are LGBT do equally as well as their counterparts raised by heterosexual parents."